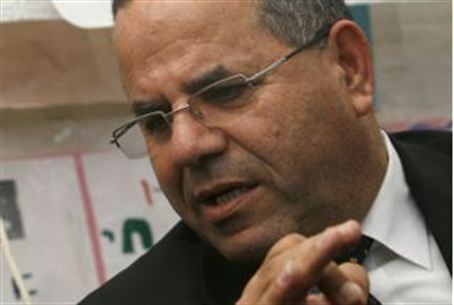 Druze MK Ayoub Kara (Likud) says he may not show up for swearing-in Wednesday – thus hindering an important vote. MK Ayoub Kara (Likud) is threatening not to show up for the swearing-in of the new government in the Knesset next Wednesday, if he is not appointed minister. Kara, a Druze, told Maariv Online that unless appointed to be a minister, he will visit the heads of the Druze sect at Jethro's Tomb in northern Israel on Wednesday, instead of going to the Knesset. Kara noted that he is one of the most veteran MKs in Likud, and that he has proven his complete loyalty to Prime Minister Binyamin Netanyahu. The Druze feel that they are suffering discrimination, he added, and the negative effect of Netanyahu's statement about Arabs “heading for the ballots en masse” also requires that a minister from the minorities be appointed. If Kara does stage his personal mutiny, this could pose a problem for the new coalition on its very first day and prevent it from passing the law that increases the number of ministers in the government. Kara's contention that his problem is not personal, and that he will be satisfied as long as any minority MK is appointed minister, should be taken with a grain of salt, since he is the only coalition MK who is not Jewish. Kara's threats are a sampling of the blackmail power that coalition MKs will now have against the government, as long as the coalition's Knesset majority is a razor-thin 61 MKs.